My husband and I loved this product for our latest conventional business meeting. Very unique insulted wine holder. Without a doubt will be coming back for a second bulk batch. My boss told me to order these for our company and he was so satisfied with the results of your product. You should be hearing back from us soon to place another soon. My wife and her colleagues from work loved when I bought them all these insulated wine bags. 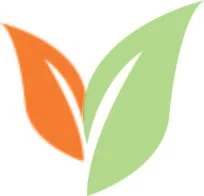 Very nice website with great customer support and an easy working interface. Thanks again. My business partner and I wanted to show off these products at our latest convention and it ended up being a fantastic investment. Not only did we sell all the products, people had us make sure we had them again for the next convention. Love that this bag holds multiple bottles my customers love them! We just received 3,000 bags cant wait to start promoting at the conventions. Just ordered in bulk the price was right and our logo came out perfectly! We couldn't be more thrilled about our bags! They were so budget-friendly and look great! Such a good way to promote my business. I sold out of these bags in months! This is the perfect promotional product for my company! We are really happy with the results! I absolutely love my bags! They can support multiple bottles and are easy for my clients to carry. Our bags are absolutely breath taking! So happy with the results! The customer service was amazing and the quality was better than I expected, I will definitely be working with Custom Earth Promos again. Our bags are visually appealing and were super affordable. We are really pleased. These bags look great and were so affordable! I couldn't be happier with my bags! Thank you CEP! Wow! High quality and affordable! Propel your marketing efforts, increase brand exposure and expand your customer base with Custom Earth Promos' Insulated 4-Bottle Wine Carrier Bags. With reinforced durability, commanding presence, upscale style and eco-friendly properties, this insulated wine bag has it all. Whether wine is a cornerstone of your business in hospitality, food, wine, or liquor industries or you're simply looking for a new and unique tactic to reach your target demographic, insulated wine totes will prove to expand your network, increase profitability and garner brand appreciation for eco-responsibility. Show your customers, employees, and industry connections that you're taking action to preserve our environment and encourage them to do the same. 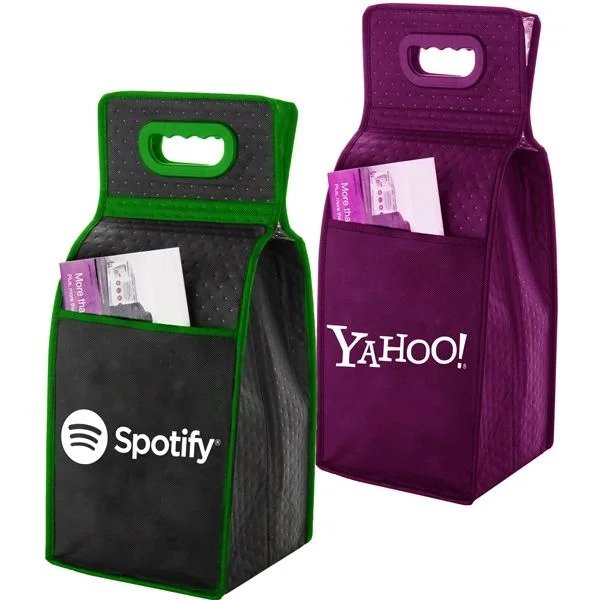 Utilize the four bottle tote to drive your next product marketing campaign, publicize an upcoming corporate event or as a year-round tool to increase general brand exposure. Insulated 4-Bottle Wine Carrier Bags make exceptional promotional giveaways during industry conventions and trade shows, keeping your brand name fresh and familiar to prospects and beneficial connections you've spent time networking with. This budget-friendly tool will ensure that you stand out in a crowd and remain a step ahead of your competitors. An added bonus, these reusable bags will also continue to strengthen your brand image with eco-responsibility each and every time they're worn. Carry up to four bottles of wine securely without the concern of ripping bags or even worse, breaking bottles. Custom Earth Promos' Insulated 4-Bottle Wine Carrier Bags feature custom plastic-lined die cut handles that make for a secure and comfortable carry while adding attractive aesthetic appeal. 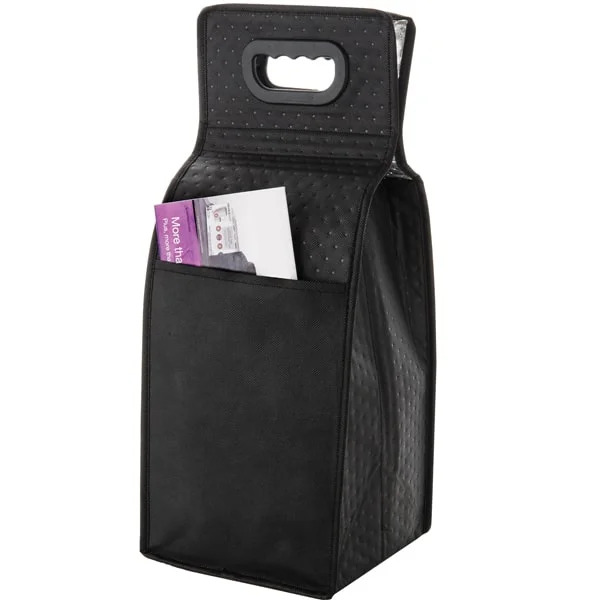 Along with the sewn-in dividers that protect bottles independently, 7" gussets and top quality 248 GSM non-woven polypropylene material, this custom tote has surpassed durability that promises safe travels for your customers' favorite wine selections. The insulated tote lining is made from polyester fiber and coated thermal film, keeping contents at optimal temperature. Front and back pockets offer convenient storage space and the eco bag top secures with Velcro closure. Designed for optimal visibility, the featured imprint area on the front of the bag is 4" W x 6" H. Work with our expert in-house design team to define the best custom graphic to display. Whether using a standard company logo or a custom graphic specifically designed to promote the opening of a new location, product launch or upcoming event, using these totes as promotional giveaways will greatly benefit your advertising efforts. The ROI of this budget-friendly investment will pay off for years to come in areas of brand visibility, exposure, and eco-responsible image. At Custom Earth Promos, we have a supreme appreciation for the power of customization. When crafting a product that is going to represent your brand, it is vital to capture the founding ideals of that brand in every detail of the product. You're using a product to communicate with your consumers and this can be a tricky thing. That's why our expert in-house design team works with you directly, answering any questions you may have and providing you with advice on which choices may work best for your brand specific marketing goals. Direct order from overseas and you'll have the ability to fully customize your order of Insulated 4-Bottle Wine Carrier Bags. Custom fabrics and colors are available to you in order to complement your brand logo or custom graphic. Design your totes with specific thread colors in the cross stitching and piping material that surround bag edges. Try our edge-to-edge printing option to fully optimize the available space on your custom thermal totes or increase the material density for added durability. Embroidery details, bag dimension alteration, and several other options are available when you choose to order direct overseas with Custom Earth Promos. You dream up the design and we'll bring it to life!